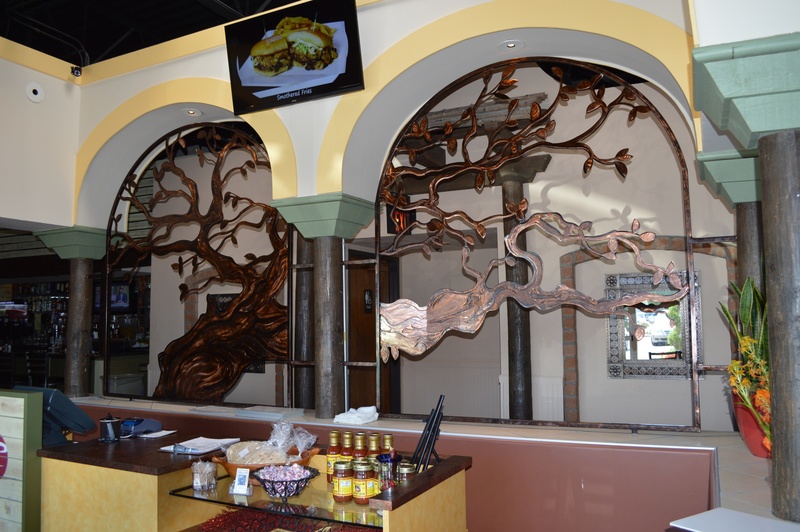 For the Serrano’s Mexican Restaurant in Gilbert, Arizona, Kornegay Fabrication created theme appropriate table bases and a “Tree of Life” relief for the host station. 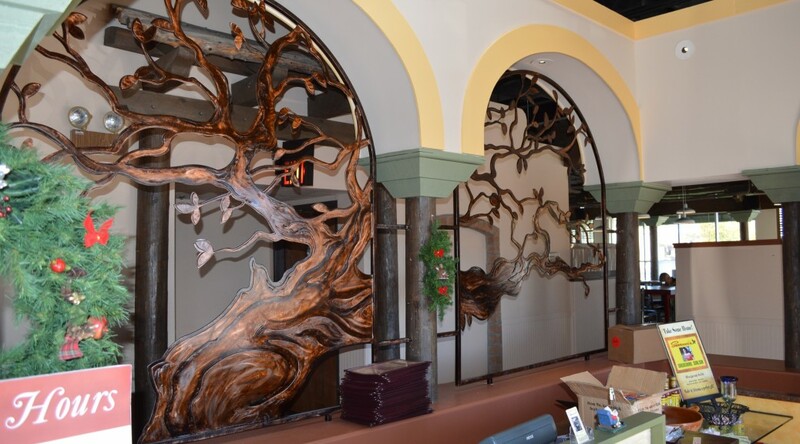 Tree was stained and clear-coated, with a grind finish showing through. 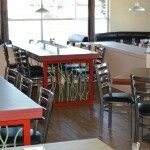 Table bases powder-coated. 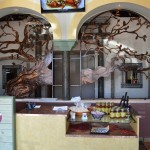 Concept by OEI Design. 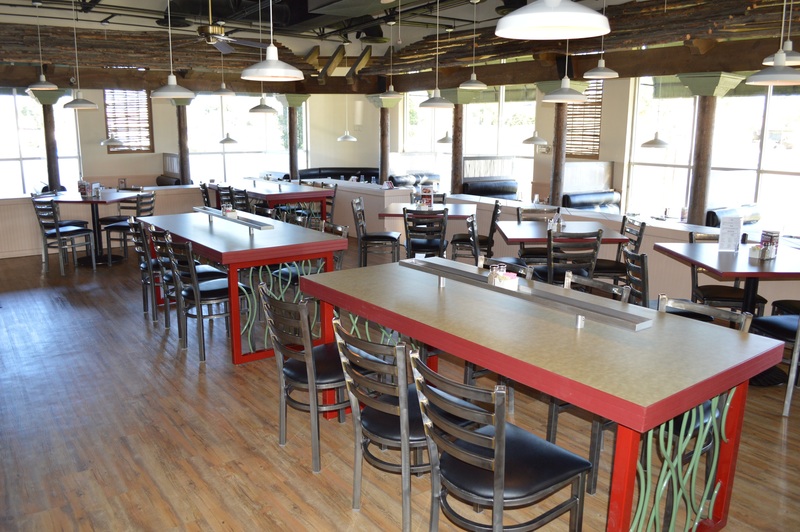 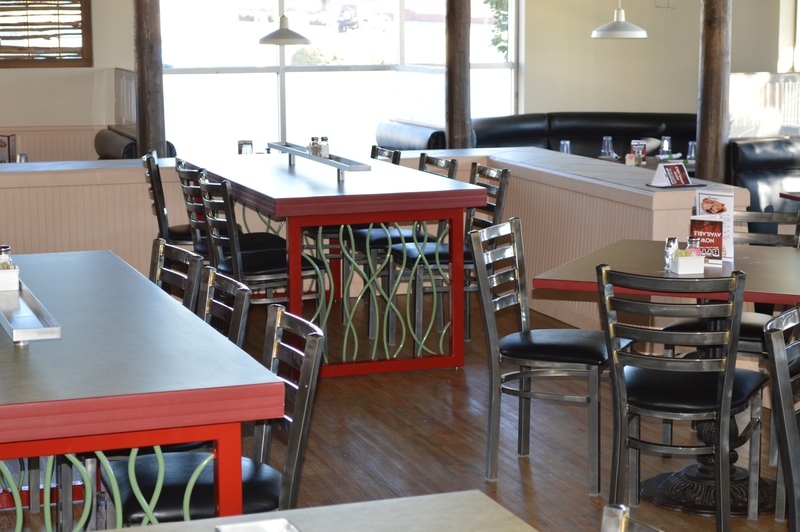 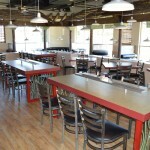 Powder-coated table bases for Serrano’s Restaurant, Gilbert, Arizona. 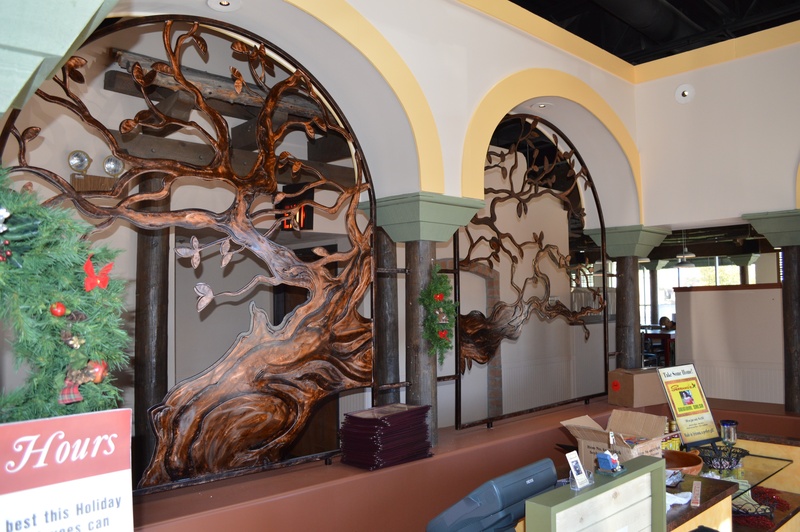 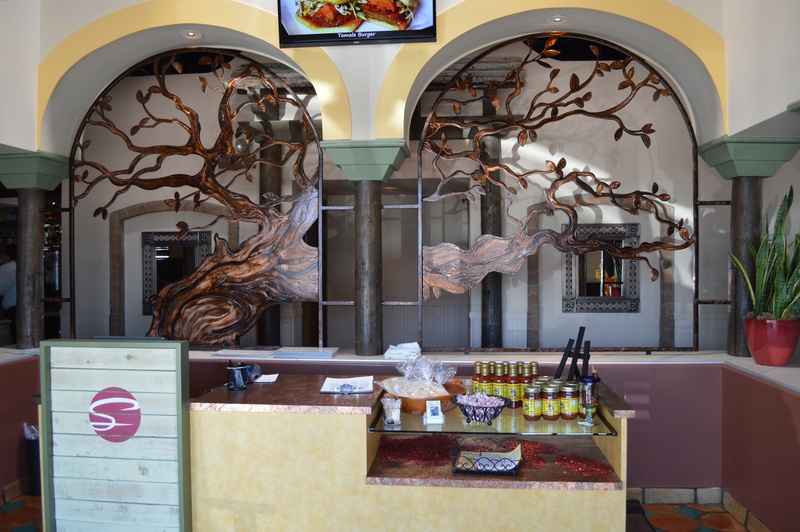 Stained and clear-coated steel “Tree of Life” for Serrano’s Restaurant in Gilbert, Arizona. 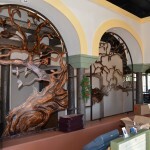 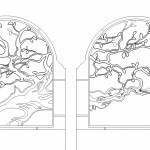 CAD file for “Tree of Life” relief, Serrano’s Restaurant, Gilbert, Arizona. 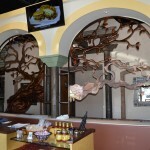 “Tree of Life” relief, Serrano’s Restaurant, Gilbert, Arizona.